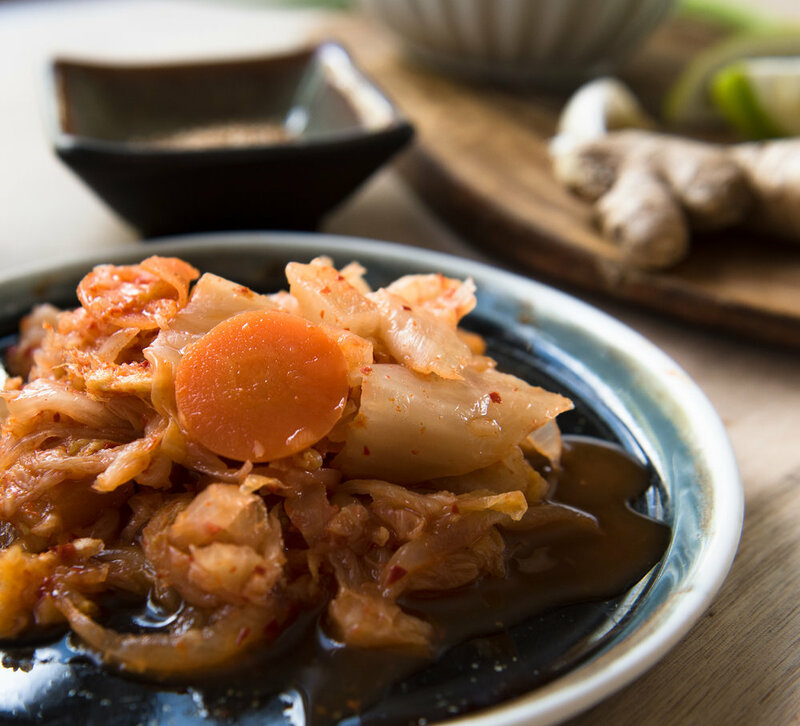 This simple dish is quick to prepare, refreshing, and a great way to enjoy our Kimchi! The possibilities for delicious, fresh toppings are endless and a great way to use up scraps in the fridge. The sauce can be made ahead, and mixed with the noodles right before serving. In a medium bowl, whisk together the remaining 2 tablespoons sesame oil, the soy sauce, rice vinegar, maple syrup, ginger, garlic, and hot sauce (optional). In a large bowl, toss the noodles with the dressing and add a sprinkle of sesame seeds. If serving immediately, portion the noodles out into bowls and top with Kimchi and other desired garnishes. A few weeks ago I got invited to vist the 1st and 2nd graders at Muddy Brook Elementary in Great Barrington. They have a after school program called Food Adventures, spear-headed by the Nutrition Center. The plan was to talk about fermented foods, make sauerkraut and sample our sauerkraut. I talked a bit about Hosta Hill, who we are, what we make and how we make it. The kids we're inquisitive, commenting how they've seen our sauerkraut, they've eaten our kimchi and how its so smelly! After talking the kids got chopping (with the plastic lettuce knives of course). They all worked attentively, eager to process the cabbage in their own style. Once chopped we put everyones cabbage together into a big mixing bowl and they sprinkled it with salt. Then came the mixing, each kid got their hands in there mixing and mashing the cabbage until it was flimsy and wilted, just what we want! While we let the cabbage sit to wilt a little longer we had a little sample of Hosta Hill Sauerkraut and Crimson Kraut. To my surprised most of the kids dove into their little bowls, gobbling it up. After a good cultured snack the kids took turns packing the sauerkraut into jars. The packed jars would stay in the classroom to ferment for a few weeks and then the kids would get to taste their communal sauerkraut. Working with them made me realize what a wonderful project this is for children! They can partake in the energizing act of chopping, salting and mixing the cabbage. Then they get to watch the fermenting contents transform right in front of their eyes! Bubbling away, with the colors of the vegetables melding right before you. its a safe, cheap and easy project. And also a fun way to eat your vegetables! Below is a kid friendly recipe for Sauerkraut. Pack into wide mouth jars leaving about an inch for headspace. Cap tightly and store to ferment in a cool area in your kitchen. Keep an eye on your Kraut and taste after 1 week. If you want it more soured let it continue to ferment. If you like how it tastes pop it in the fridge. This will slow down the fermentation process. Use any mix of vegetables: carrots, radish, turnips! Endless possibilities. Add spices or herbs. Don't over-do it! about 1-2 tsp/ 3 lb veg. Mix these in at the same time as the salt. Keep an eye on the lid of your jar. You may see the lid bulging, thats perfectly normal and means the contents fermenting, sugars are being eaten, lactic-acid is forming in turn building pressure. I recommend you crack the lid open over the sink, since it might leak a little. After relieving some pressure, cap tightly and return to ferment. Do this again if needed. See the previous blog post on ways for the whole family to enjoy fermented foods in every meal! !